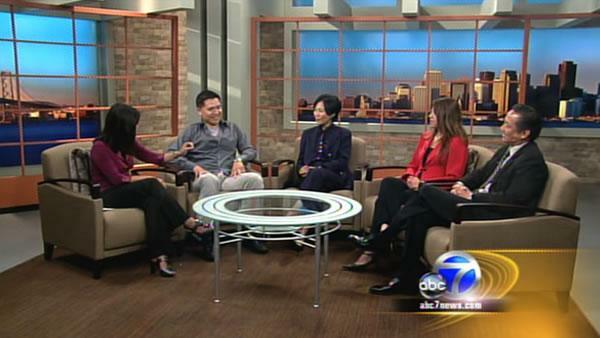 Here’s an interesting discussion by four San Francisco Bay Area Asian American leaders representing various fields. The panel consists of Charles Huang (Co-Founder and Executive Vice-President, Guitar Hero), Kyung Yoon (Founder/CEO, Talent Age Associates), Fiona Ma (Assembly Member, District 12 San Francisco), and Jeff Adachi (San Francisco Public Defender and filmmaker) They talk about being Asian American today, and the opportunities and challenges facing the community. Topics covered include Leadership, Business, Politics, Media and the Arts, Stereotypes, Hepatitis B and Health Disparities, and Current Issues. It offers a fascinating discussion about cultural differences that hold back Asian Americans like risk taking, being vocal, and expressing yourself. This entry was posted in business, health, interview, politics, tv on June 30, 2010 by Kevin Hsieh - channel APA. In Part 2, Kina Grannis gives you the music to the next part of the song, The Chorus. This is a key part of the song, so get crackin’. Visit the “Moderator” section on her channel page to submit your lyrics. Then help vote up the best lyrics over the next 2 weeks! This entry was posted in music on June 30, 2010 by Kevin Hsieh - channel APA. A few months back we had a chance to chop it up with singer Michelle Martinez. She talks about how she got into music, her music background, and singing competitions. The San Francisco Bay Area singers also shares her thoughts on the local music scene and the Asian American movement. With school and her music, she’s got a busy schedule to juggle. All her hustling and grinding has paid off. Her debut album Adrenaline dropped this week. Pick up Adrenaline by Michelle Martinez online at or Amazon. 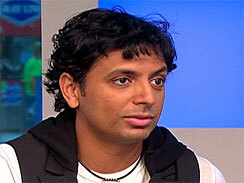 M. Night Shyamalan was on CBS Early Show promoting/defending his upcoming film “The Last Airbender.” He was intimately involved in the making of his films including writing, directing and producing “The Last Airbender.” In his first children’s film, he had even more control with the special effects. During the interview, Shyamalan discusses some of the criticism about the film’s casting controversy (casting Caucasians in Asian roles). See more at The Last Airbender Movie Boycott (Paramount Pictures vs Asian Americans). We don’t think he made a strong argument for his position on casting. Watch the box office results to see if the boycott worked. This entry was posted in controversy, movies, tv on June 30, 2010 by Kevin Hsieh - channel APA. Kero One just dropped the latest track “The Fast Life” off his Kinetic World album. He collaborates with Esna Yoon for this song about his experiences of life in the fast lane. Previously, we saw some behind the scenes footage for the Fast Life. Also take a peek at some of the other tracks on the album including Asian Kids, Let Me Clarify, and Time Moves Slowly. 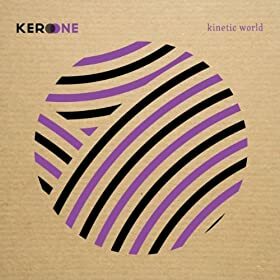 Pick up Kero One’s latest album Kinetic World on or Amazon. For those in New York, the Asian CineVision (ACV) has released the feature film line up selected to screen at the 2010 Asian American International Film Festival (AAIFF 2010). The program consists of a total of 23 feature films that showcase the latest works created by filmmakers of Asian descent in addition to films that explore new constructs of Asian and Asian-American cinema. The AAIFF 2010 includes selections from both a national and international pool of filmmakers, including works from Taiwan, South Korea, Malaysia, and the Philippines. Screenings will take place from July 15 through July 24, 2010 at various venues throughout New York City including Chelsea Clearview Cinema, the Quad Cinema, and the Museum of Chinese America. “This year, the AAIFF10 looks especially forward to bringing several Southeast Asian films to our audience,” states Martha Tien, Program Manager of the AAIFF10. “Southeast Asia has such a dynamic cinematic community, but its movies still tend to be underrepresented in most film festivals.” Renowned Filipino director Raymond Red’s Manila Sky will screen as the Opening Night Presentation at the AAIFF10 on July 15, 2010. Red, a pioneer of contemporary Filipino cinema, will be in attendance after the screening for a special Q&A session. Other Southeast Asian selections include Malaysian filmmaker Yuhung Ho’s dramatic feature At the End of Daybreak and Thai director Kongkiat Khomsiri’s thriller Slice. Oscar-nominated Australian Director Bruce Beresford will also screen his latest narrative feature Mao’s Last Dancer at the AAIFF10. In addition to the international titles, the AAIFF10’s programming also includes a strong list of features from Asian American filmmakers including Filipino-American Gerry Balasta’s Mountain Thief. Taiwanese-American filmmaker Arvin Chen’s Au Revoir Taipei will screen as the Centerpiece Presentation on July 17th at 9:30 p.m. while Quentin Lee’s romantic comedy The People I’ve Slept With will close the festival on July 21, 2010 at 7:30 p.m. All special presentations will screen at the Chelsea Clearview Cinema. This entry was posted in events, filmfestival, new york on June 30, 2010 by Kevin Hsieh - channel APA.